For Marie Romano, curator of the Squirrels of UT Facebook page and Instagram, squirrels have a complex and dynamic world. To her, squirrels are not merely a detail in the background, but layered into and parallel to our own world. It’s our decision whether we choose to take part in their story. Romano does. 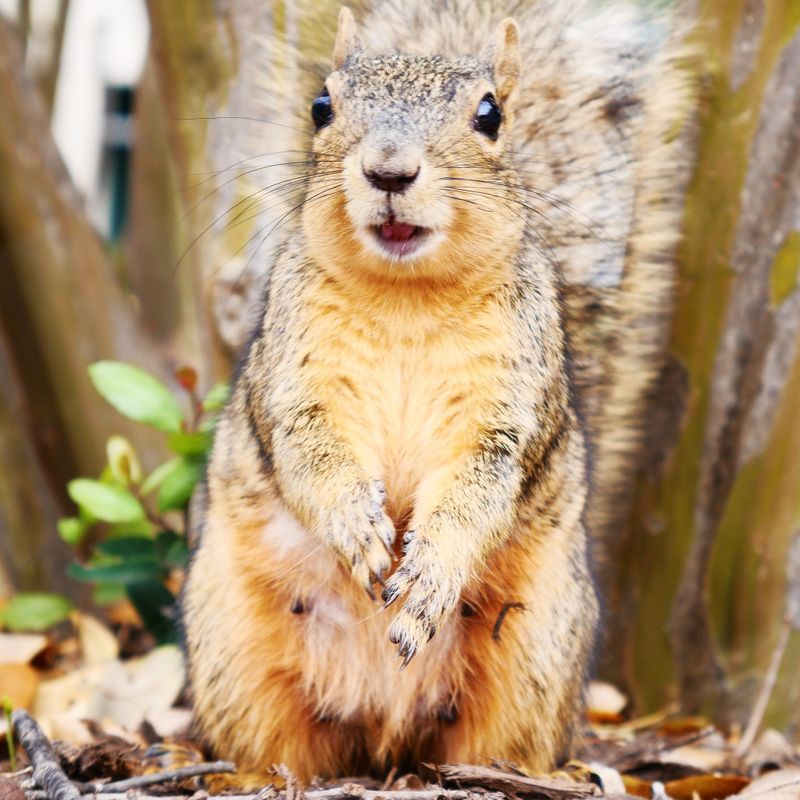 As a UT student in 2015, Romano began compiling a personal collection of squirrel photos. She kept the photos for a simple reason: they gave her joy. Soon, she took the photos to the web, hoping they would bring others joy, as well. She definitely achieved her goal of brightening people’s days. Scroll through her Facebook and Instagram accounts, and you’ll discover how many others are excited to finally have a forum to share their Austin squirrel photos. As curator of the pages, Romano has no interest in preserving her anonymity. However, she likes the idea that the squirrels run the show. Many times, someone will message the account, wondering who is behind it. “Hi, I’m a UT squirrel!” she will write back. The squirrels have names, of course. Romano has named a few herself, but she often calls on the Instagram community when deciding what to name a new squirrel. Squirrels don’t normally wander 200 feet from their nests. Spot a squirrel one day, and he’ll likely be in the same area next time. As far as appearance, there are several things you can look for: size, coloring, tail shape, ear shape, and nose shape. 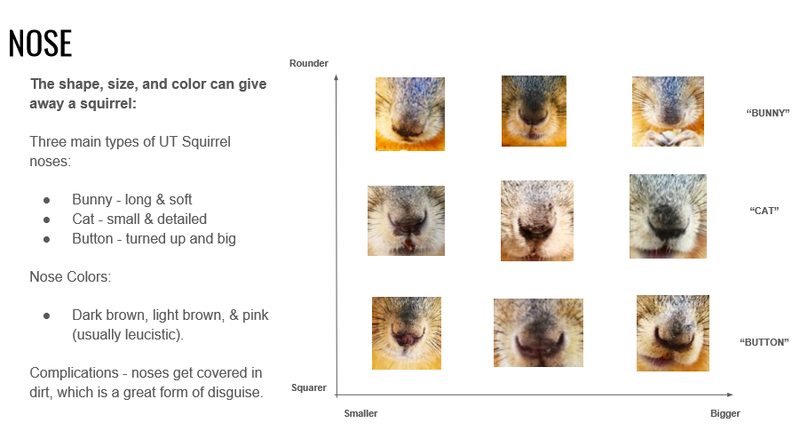 The image above shows the three basic nose shapes squirrels have: bunny, cat, or button. The differences are subtle. At first glance, it’s hard to tell the difference between the three categories. But, like any other skill, it comes with practice. 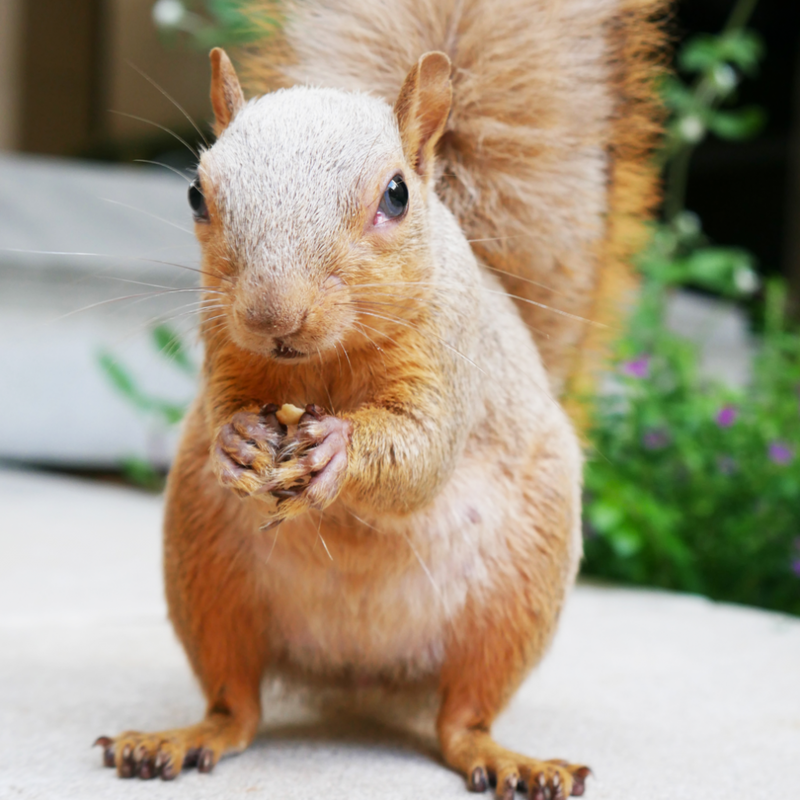 Squirrels have distinct personalities. Some are skittish; some are brave; and others have unique tics and behaviors. Romano is thinking about hosting squirrel-watching meetups for squirrel enthusiasts, or anyone interested in cultivating more discernment for the environment. Noticing features of the natural world, even if we live in an urban environment, increases our quality of life by infusing it with delight and curiosity. 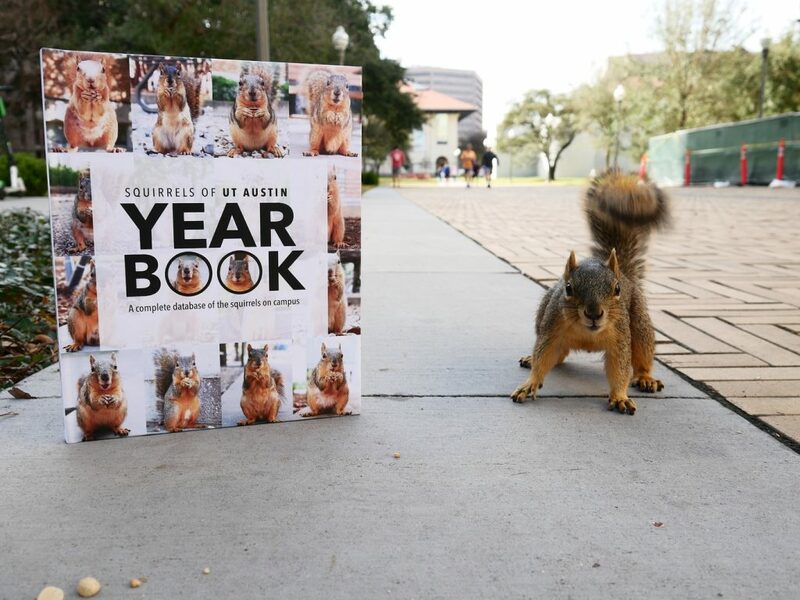 The squirrels of UT Austin are coming out with their very own yearbook! if you’d like to learn more or support the effort, there’s a (successful) Kickstarter campaign with all the details. 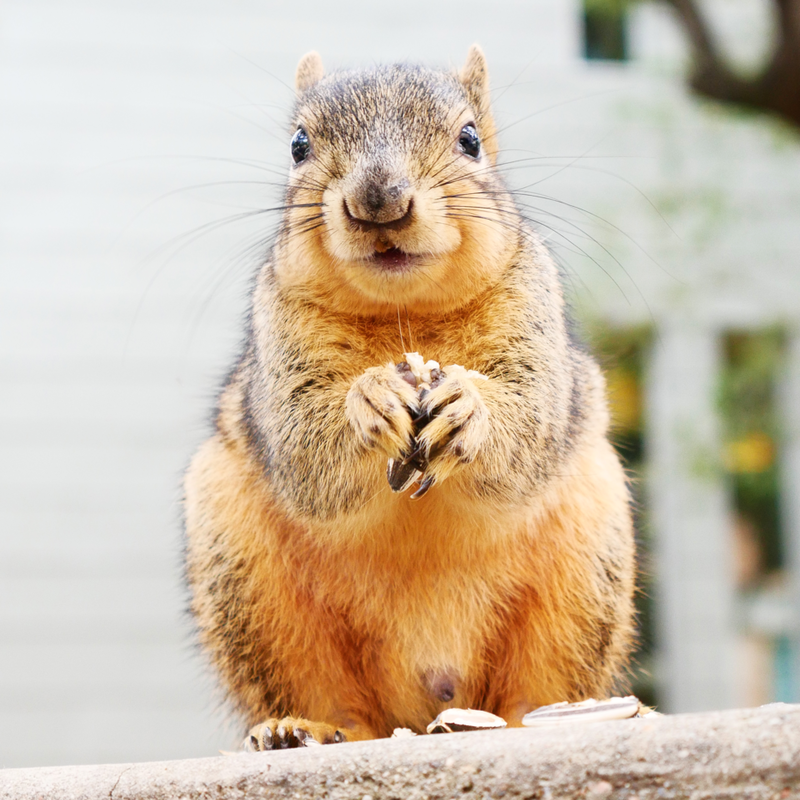 Who’s your favorite squirrel on the UT campus?